1. Food and Drinks: Coffee, tea and red wine play a major role in staining your teeth. They all have Chromogens, which are intense color pigments that attach to the white outer part of your tooth known as enamel. Tip: Drink with a straw, keeping those stain-causing dyes in the drink away from your teeth. 2. Tobacco Use: The two chemicals found in tobacco, tar and nicotine, create a tough stain. Tar is naturally dark. Nicotine is colorless, but when it’s mixed with oxygen, it creates a yellowish color. Both together create the stain. 3. Age: Below the white shell of enamel on our teeth is a softer area called Dentin. Over the years, our outer enamel gets thinner from brushing and the yellowish dentin shows through. 4. Trauma: If you have experienced an injury to the mouth, your tooth may change color. This is because your tooth reacts to the trauma by putting down more dentin, which is darker than the outer enamel on your teeth. 5. Medications: Many different kind of medications come with the side effect of darkening your teeth. Also, children who are exposed to medication when their teeth are forming, either in the womb or as a baby, can experience discoloration of their adult teeth later in life. Some of these reasons are preventable and some of these happen over the course of life. 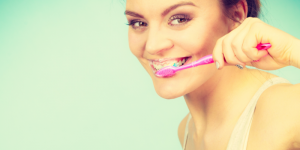 Try to avoid some of these things and continue to brush and floss your teeth every day. 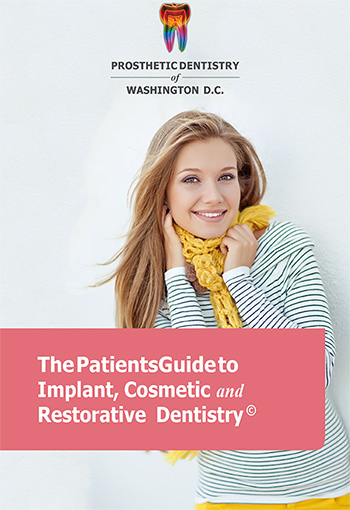 If you would like to discuss your teeth whitening options with us, please call our office at 202-244-2101 to schedule an appointment.